Always while working with complex software systems, we need to create numerous project technical documentation. In most cases, it has the same structure: these are special requirements to various subsystems, the detailed description of the architecture, program code, API, data structure and algorithm structure and also numerous project plans, reports, etc. The idea of any project starts with detailed planning. A test manager needs to gather a united team, properly distribute current requirements, assign the tasks to the team, select necessary base of the proven technical tools which will be used by every its member during the whole cycle of software testing. 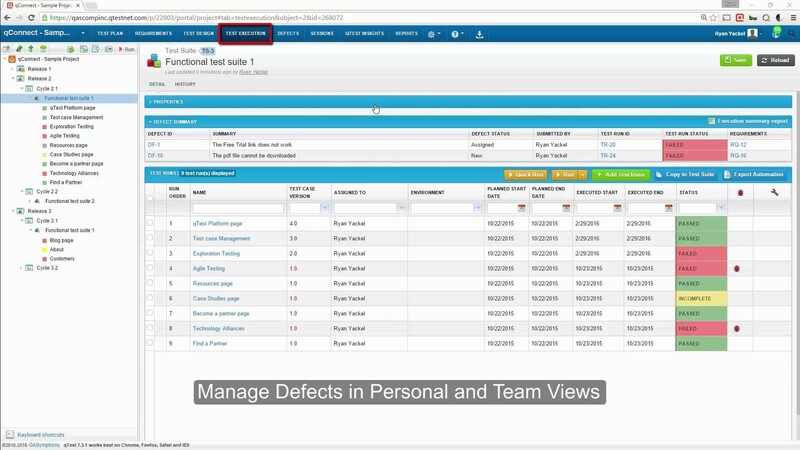 Test management – creating and supporting the test artifacts (test plans, test cases, test scripts or user stories). Test planning – distribute the roles and responsibilities of members of a test team, a possibility to prioritize the test cases, determining clear traceability between the requirements, test cases, and defects. Testing – a user-friendly interface to mark the results of test case execution, a possibility to add new tests during the testing, saving the step-by-step history of test case execution. Creating a test protocol – a possibility to collect metrics according to a number of performed actions, report visualization with the help of charts. 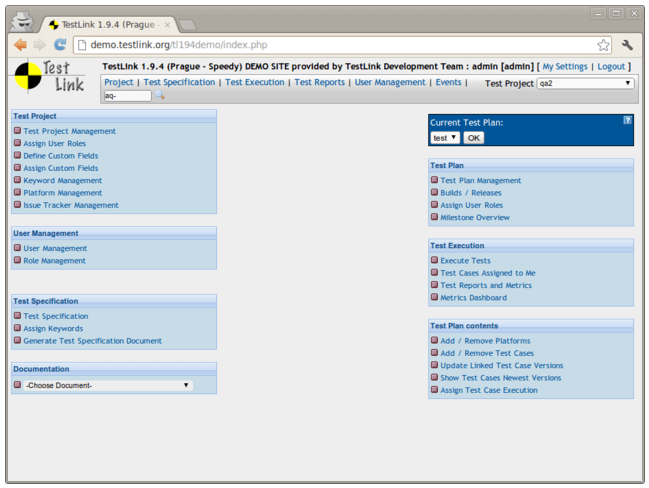 Tools for task execution – a possibility to integrate with bug tracking systems; creating, editing and tracking the bugs directly from the test case management system. Additional options – a possibility to export and import the data, integrate with third-party applications, work with crash logs, etc. On the basis of the foregoing, we’d like to identify 10 most efficient and popular tools for test case management in 2018. TestRail product (developed by Gurick Software GmbH Company) seems to be the most successful product from the whole list of products released under this brand since 2004. The advantage of TestRail is that the whole established functionality is quite qualitative and has a big choice of settings. The service has a quite interesting and user-friendly interface, all buttons and fields are located in the intuitively clear segment. Perform testing on the basis of previously created scripts. Integrate third-party bug trackers such as YouTrack, Jira, GitHub. Customize the possibilities of the system according to personal needs using open API TestRail. 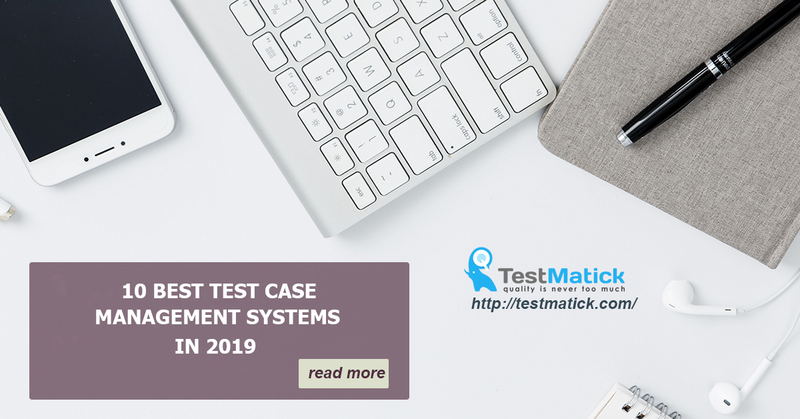 It’s the only test case management system from the whole list of mentioned applications with open software – that’s why we included it in our list. This system has a very simple graphical interface and “working” design without unnecessary options. Regardless there may be some difficulties in system installation, many developers and QA specialists use this service. The first stage of a life cycle begins from the project building, adding selected assignees and assigning proper roles to them. Basically, everything is the same as in other tools. A set of functions for creating and editing the requirements for a developed product. Creating test cases on the basis of such requirements. Possibilities to group the test cases into test suites. Assigning test case execution to a necessary tester. An advanced system of roles. 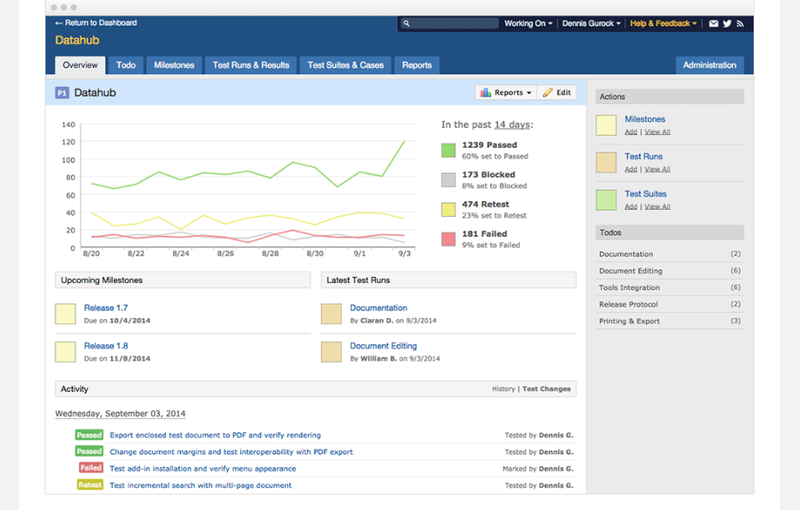 Work with reports after test run completion. Of course, these tools can be also analyzed separately. 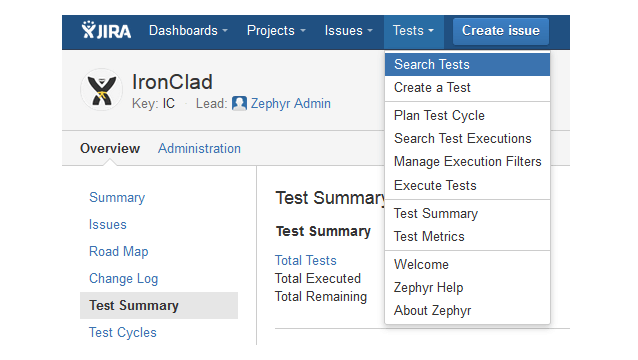 For example, Jira has a few useful functions for test cases but together with Zephyr, it opens everyone very efficient and multifaceted test case management system. Most IT specialists know Jira as an efficient bug tracking system designed to completely manage tasks execution, work with defects and other additional capabilities. Zephyr is one of numerous Jira plug-ins which completely increases its technical capabilities. A possibility to quickly report a bug. The main advantage of Jira+Zephyr combination is a low price and big range of technical capabilities. 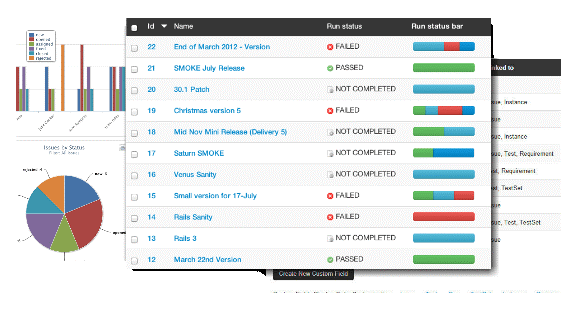 This application can be easily integrated with c JIRA, Pivotal Tracker, Redmine, Bugzilla, and other popular systems. It helps you to run automated tests with Selenium libraries or interfere with the help of internal API. The application is developed by QASymphony company. Its main task is to help not only a team of testers but also other members of the developers’ group. Many QA specialists value the application for clear and user-friendly visual interface. Presence of a selected bug tracker. We analyzed 5 most up-to-date and popular systems for test case management used in QA outsourcing. Now we can describe capabilities of some of them more thoroughly. We can also mention that while working with the application, a user has a possibility to easily import previously created test cases, filtering them according to the most important (basic) criteria. TestRail gives a unique possibility to simultaneously import up to a few thousands interrelated test cases what saves much time on step-by-step implementing a test case management system into your project. 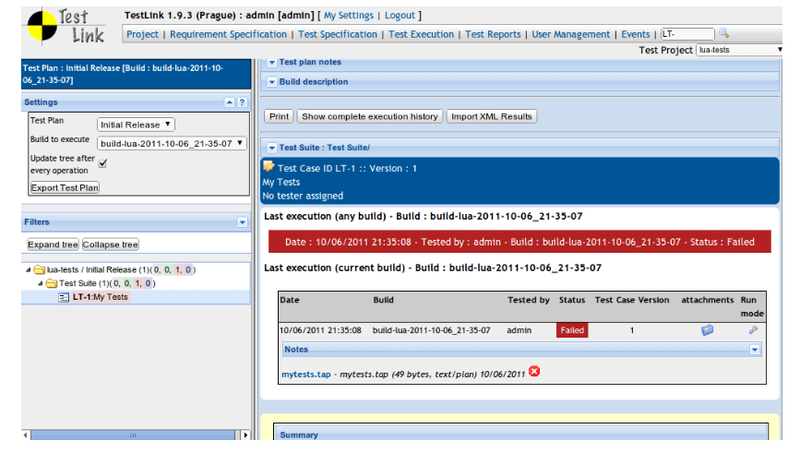 Quickly configured functionality of any attributes of a test case. Simple storing and organizing a work process. Creating defects right from TestRail. Integration with Jira on a level of automatic substitution of bugs ID. Setting the tasks and monitoring their execution. Results of testing in a form of detailed reports. Detailed statistics for the projects. Metric of productivity of the whole team. So we can say that such a product as TestRail plays an important role to manage test documentation and taking into account the results of test execution. Thorough studying software requirements and also other project documentation before starting a process of test case design. Developing test cases for functional testing primarily. Obligatory using test management tools which help to efficiently support test case relevancy. Besides that, it’s important to have a possibility to easily import cases into a selected test case management tool. Using flow charts of sequence/consistency of operations during test case creation. This allows us to get maximum test coverage and don’t miss anything important in the process of software testing.